— being named a University of Florida Research Foundation Professor. Among other things, the prestigious professorship provides additional resources so Kranzler can carry on his ongoing research, which principally involves studying the nature, interpretation and integrity of intelligence quotient (IQ) tests, which Kranzler says many psychologists believe are one of psychology’s greatest contributions to society. But the UFRF Professorship also is important to Kranzler for another reason. “It’s just a great honor to be recognized for your work by your peers and the university,” says Kranzler, professor and director of School Psychology at the College of Education. Kranzler has been on the college’s faculty since 1990, after he earned a Ph.D. in school psychology and human development at the University of California at Berkeley. 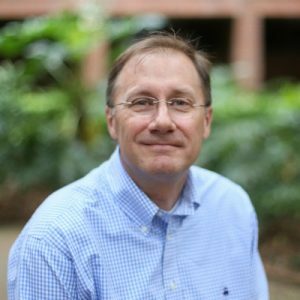 Kranzler was one of 34 professors from across UF named as a UFRF Professor for 2017-2020. The recognition goes to professors who have a distinguished record of research and a strong research agenda that is likely to lead to continuing distinction in their fields. College of Education Dean Glenn Good recommended Kranzler for the professorship after a faculty committee nominated him. The committee members evaluated his personal statement and his recent research accomplishments, including his numerous publications in scholarly journals and the external funding and honors and awards he has received. Last year Kranzler received the Award for Excellence in Research for the second time in his career from Mensa International, widely known as the high IQ society. The three-year UF professorship includes a $5,000 annual salary supplement and a one-time $3,000 grant. The award is funded by the university’s share of royalty and licensing income on UF-generated products. What work will he be doing? He will explore more deeply how to better use IQ tests to identify children with specific learning disabilities. This includes investigating the validity of innovative ways to interpret and use the results of IQ tests for diagnosis to plan treatments. Kranzler says he recently received approval from UF’s institutional review board to study the cognitive ability profiles of children and youth identified as have specific learning disabilities. He says the UF Foundation Research Professorship will help with this work.